I rarely take photos of the front yard unless things are blooming. Besides a few daffodils, there isn’t much out there but we still have two beds to be proud of. 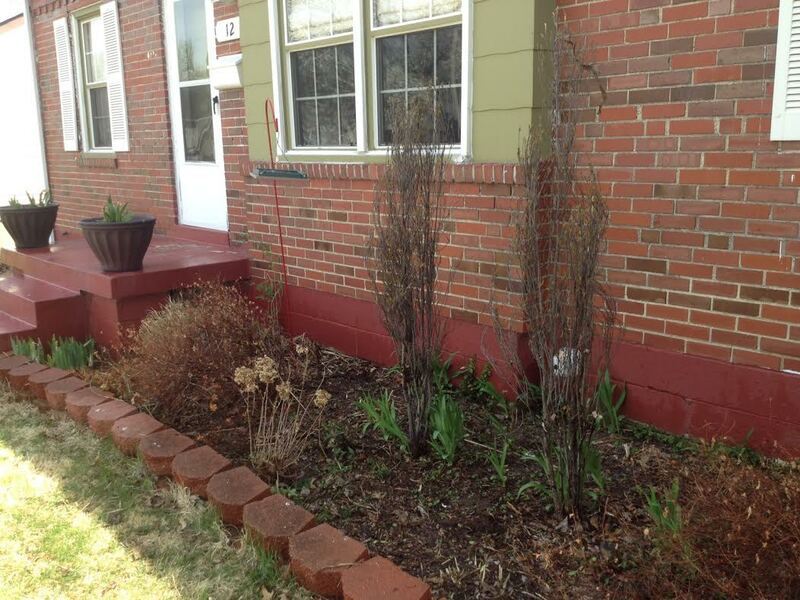 We cleaned them out last Saturday too, and I even put my flower pots back up on the porch. I planted irises and lilies in them last year instead of the annuals I used to put in them that never last long. Our cat loves to sit in the window and talk to the birds who stop by that feeder.